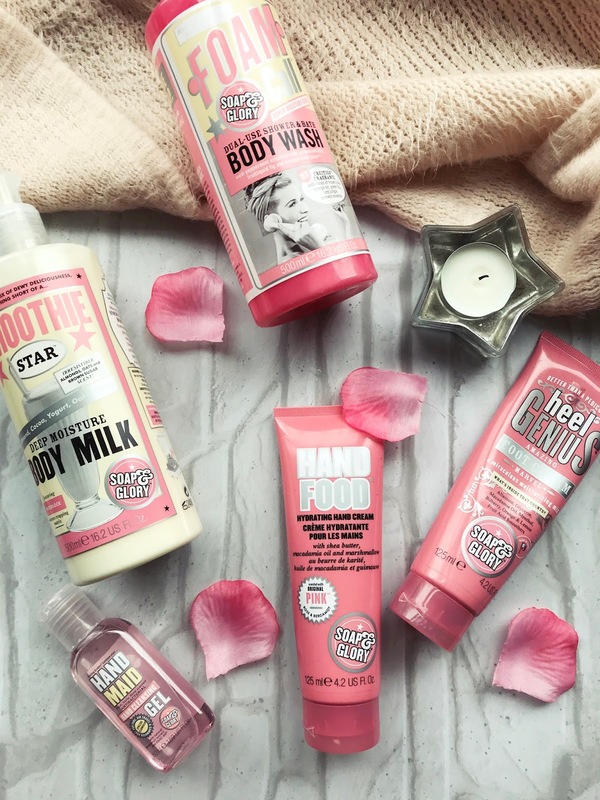 I have a strong love for Soap & Glory Body Care products and have used them for years. They are so inexpensive and are amazing quality. Here are my favourites from their body care range! Every time I have a bath I always use this body wash. It is the most nourishing body wash that I have used. I have tried all different body washes before and I tend to find that they are a little bit drying for my skin but this product keeps my skin feeling extra soft. They have different scents of their body wash but this one is my favourite because its so sweet. Ahh this body milk is just the best. 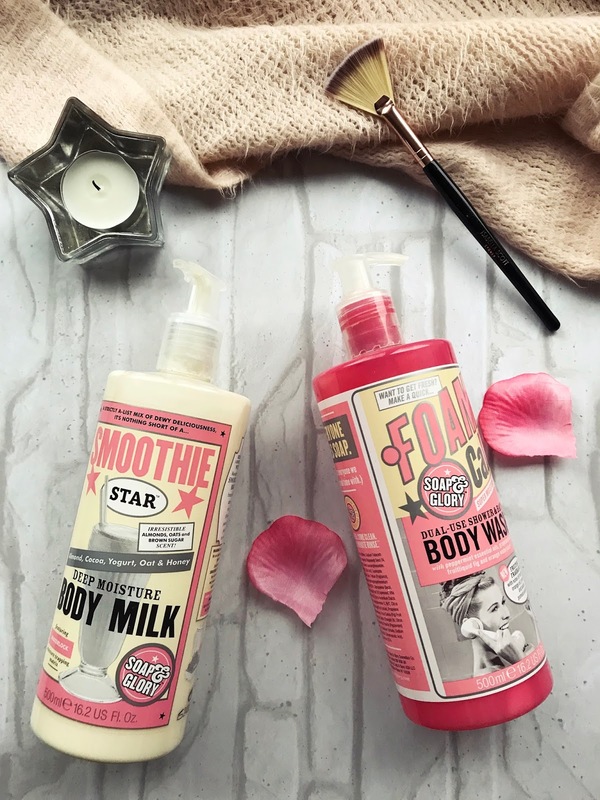 I have actually used different Body creams from other brands and Soap & Glory but this body milk is still my absolute fave! After every bath I use this cream to leave my skin feeling so soft and nourished. All Soap & Glory products have this amazing smell but this product just smells so sweet of brown sugar and oats which is too good! This product contains almond, cocoa and yogurt which keeps the skin re-hydrated. What I also love about this product is that it seeps into the skin quickly without leaving this skin feeling oily. 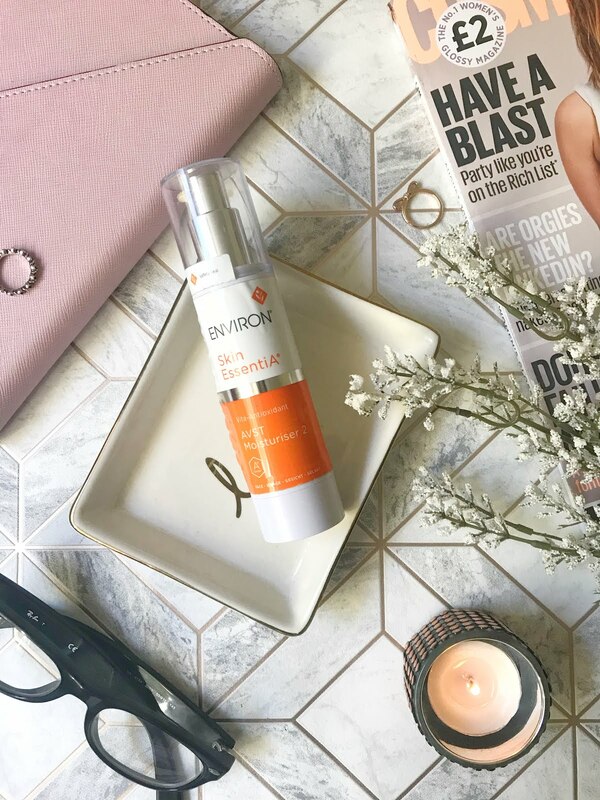 I always have this cleansing gel in my bag at all times! I am a major germaphobe and cannot stand when I forget to have this in my bag. I probably use this product around 40 times a day. The reason I prefer this gel than other brands is because it smells too good and it doesn't dry out the skin which I feel some other sanitising gels can do to the hands. For the skin on my face being pretty oily, the skin on my body can get quite dry so I have to constantly be creaming my hands to keep them hydrated and soft. This product is also really good to use on the cuticles if they become dry. I tend to use this after I have washed my hands so they stay nourished. Like my hands my feet can also get rather dry at times and this cream is the product I always reach for that helps it. It is the best cream that I have tried that reduced dryness on the heels of the feet. How I use this product is that after a bath I will apply this generously to my heels and then apply socks over, this allows the product to really hydrate the heels and reduce dryness fast. 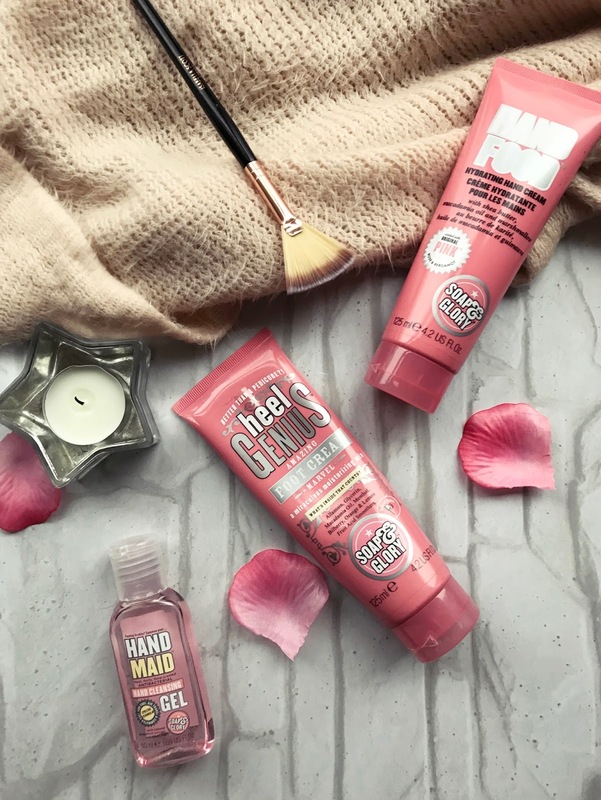 Body Care is super important and shouldn't be forgotten about and Soap & Glory products are my fave to use for my body care routine. 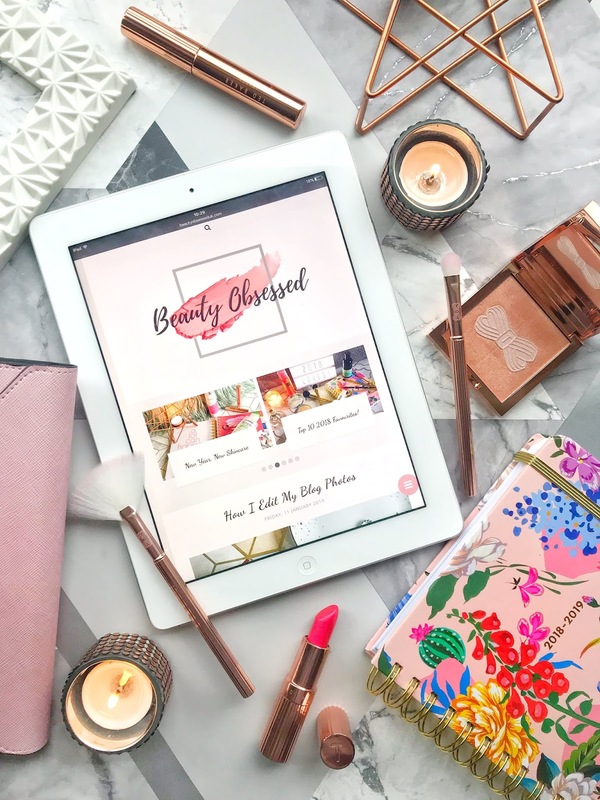 What are your favourite body care products?